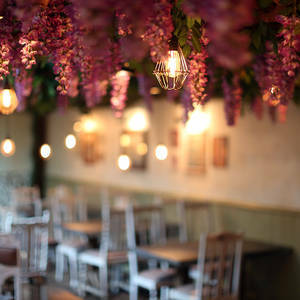 The Botanist Newcastle's private dining spaces are available to hire seven days a week from 12pm until late, seating between 14-50 guests (depending on room choice) where one can enjoy private dining in a marvellous setting. With a hearty menu to choose from alongside creative cocktails, our rooms are perfect for business meetings, corporate events and weddings or celebrations such as birthdays or anniversaries! Introducing the latest addition to Newcastle's private hire spaces. The impressive space overlooks our iconic sycamore tree, with seating for up to 50 seated guests or 80 standing guests. 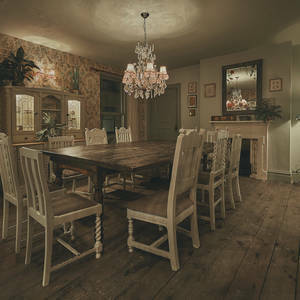 Perfect to hire for all occasions, events or even business meetings. Contact our team to start planning your occasion. Whether you're celebrating a birthday, event or you'd like to enjoy drinks in style, our Burnsy's Boardroom is perfect for all occasions. With enough seating for up to 14 people, the marvellous space can be hired at any time of the day, seven days for a week.